I've become a new, even a miracle to me, both dormant and active, receiving and giving, an owner of goods whose value I may not even know. This right to describe my quote "Vita Nova", I want a title for my latest update to use my second trip to India. Let's stay with Hermann Hesse. Hermann Hesse's, Only those who swim against the stream enters, for source-has proven true in my story several times. The life, his low blows and the brave, unusual battle back to life and to survive, probably write the best stories. Health means freedom, love of life and energy. Priceless Attributes. A brief review on the highlights yet, impact and positive changes in my last few months. -After years of traveling without moving-so of traveling without moving, I was the first attraction after my first trip to India with my family one weekend in Paris. Boating on the Seine, romantic dinner, museums, arts and culture.Savoir vivre at its best. Where else should I celebrate my rebirth, if not to the metropolis to live with her charm, art, portraits on every corner. What is natural for healthy people it is for me never be again. I celebrate and thank each and every step with activity intensity. The plan was to go by TGW, or ICE, for my international readers- a high speed train- one who needs my home town of only about 1 hour and 50 minutes to Paris. Forced through a typical french spontaneous strike, I decide spontaneously to go by car. If you've followed my blog from the beginning, you know, this alone is a sensation of driving a car was because for years no longer any question! Once again I thank the potential of the life-giving life, the embryonic stem cells. In the spring of 2011 following a flight to Berlin, was also on pain-free flying, before India can no longer be a dream. Massive intracranial pressure, which is permanently vomating by hammering pounding in the skull, similar to migraines with aura became visible, I found out when I tried a few years earlier to fly to Hamburg. Agony, agony, paid tribute to the tribute I did for this short trip was a massive Bed, weakness and increased pain, persistent pain. I struggled on. Only short distances are feasible. I am working on the next seat, which I think lookout. The highlight in Hamburg was a wonderful meeting with my old friend Jessi that I for years, briefly met again, and a common mini-shopping in the boutique next to the nice organic cafe, and then at the hotel to collapse and weeks with a new low blow fight. Of which I should not recover. But it turned out differently. That was yesterday, because I stayed after my return from New Delhi, medically stable for all trips, have won huge amounts of quality of life. Back to the finale in May 2011, shortly before my departure to the second round of stem cells in India, then it goes to my husband to Augsburg to the beautiful, hearty Bavarian cuisine, I can at the II EUROPEAN ILADS (International Lyme Associated Diseases Society) www.ILADS .org attend conference. I love good food. Again, thanks for the hypothalamus Refunction! Now let's go. AIR INDIA via direct flights from Frankfurt to New Delhi. Also on board is a Lyme patient I know of to date only from the Internet or over the phone. He is enthusiastic about the option of EBSC ​​(Embryonic Stem Cells) and wants to get a full picture of the incredible therapy. Previously, the second German Lyme patient on the spot, desperate after years of me, followed a failed multiple therapeutic trials to India. I would like to protect his privacy, but will certainly come to speak briefly on his response. So here I am again, and reports to date from New Delhi. After the nine weeks last year, is a refreshing new stem cell therapy, usually for four weeks now. In recent months, some of my symptoms have worsened slightly, so I can not wait to get more injections. I'm still 15 months from now, with a short interruption, which I may have done better, will in the long-term antibiotic therapy, the spirochetes. Because this led to a slight relapse.Otherwise, I'm right back positive changes since the first EBSC ​​therapy. I've barely Herxheimer reactions, which in turn are now only Lyme insider.Therefore briefly explain the side effects of the toxin release from the dying bacteria for Lyme disease is very severe, in simple terms, the increase in extreme discomfort. Instead, it goes one better with treatment once really dirty. A top reason s why the disease is difficult to understand and to bear is. Well, I stand by my predecessors and fellow patients in contact with Lyme disease and know that without the effective destruction of bacteria, no immediate medication interruption is possible. As simple as it is not. Believe me, I often wished it were so. But an end is finally in sight. My kitchen cabinets are a real medicine and natural healing arsenal. Yes really heard the off medication is within reach, since my predecessor / within, many U.S. Americans are symptom-free and take no medicine. The first sensation on the ground in New Delhi is the current SPECT scan, which is a few days after my arrival at the Fortis Hospital performed. There are two comparison shots, even when I arrived in July 2010, then when I left in September 2010, after the first stem cell therapy, and now currently the Spect scan on arrival in June 2011. The embryonic stem cells grow and multiply, even long after the departure further. I had already explained that the full capacity is reached the stem cells after about five years. The evidence shows that this is so, my current scan explicitly. Although I have since received more than 10 months, no stem cell injections, a further significant improvement is seen in brain structure. The massive hyperperfusion (decreased blood flow) is slowly but surely! Here, the visible evidence of the amazing capabilities and repair mechanisms of embryonic stem cells by Dr. Geeta Shroff. If you are a sceptic, now the critical question of why I still am not free of symptoms, it is said: I lack a few million stem cells, and some years to heal.That's why I'm currently playing here. My predecessors are mainly US-American after max. 3-4 boosters stem mainly healed. It remains to be seen just you and me to be almost exclusively the work time, and to report on! I have not the slightest doubt about the Potiential the exceptional treatment.The medically useful stem cells is controversial and remains clinically. I would like a chapter specifically on the research and application opportunities, write the future of medicine. It started like the day after the first Stemcellinjection. Daily intramuscularly in the deltoid, and alternatively IV, via either infusion or directly into the hand or arm vein. Daily at 9 am in the morning, breakfast is served on the ward. Then performed the injections, the verification of vital functions. Fever-pulse oxygen and blood pressure measurements and blood glucose measurements frequentiv, urine and blood samples. Dr. Geeta Shroff because, globally unique, used purely biological human embryonic stem cells, there is no immunosuppression. It has also been recorded no more side effects or adverse reactions. The important, ongoing physical therapy in the basement of the hospital is located, instead of 2x daily for all patients. 45 minutes in the morning and afternoon 30 minutes. Here you will also take special occupational therapy for neurological diseases difficult, such as autism or mental disabilities. Fascinated, I watched again the other patients and their amazing sometimes more than, as elusive, magical progress through stem cell therapy. Paraplegics who run with the help of orthopedic leg support, great speedy steps. Independent mind you! Paralysed from the neck down, move their arms and information to make contact on the feet or other body regions can numb. Young children with various disabilities, including autism, major improvements have. As you can see every day, take every true positive change quite significantly. All other patients are very open and we talk often active before, after and sometimes during the physio-therapy. Again is meeting a patient in the lobby of Nutechmediworld! Patients from all over the world are here. Of course, many country people, Indian and U.S. American Indians, in addition to people from Saudi Arabia, Slovenia, Kuwait, USA, Australia, Saudi Arabia, Iran, Iraq, Turkey or Tanzania in Africa, are currently here at the 10 Lyme disease patients. Currently Dr. Shroff has treated 33 patients with Lyme disease, and after the 2-3 treatment, you recorded a 100% cure rate! Important to note here is that the patient only after diziplinierter, longtime Antibiotic Lyme disease and coinfection or holistic therapy, the addition laüft healed. The fight is worthwhile the USA's pioneers, for example Amy B. Scher, and others are staying healthy, symptom and medication free. A dream to work on worthwhile! Dr. Geeta Shroff is currently working on a book which will be released next year, which has dealt the focus of your clinical trials with Lyme borreliosis. Only a Lyme disease patient who is struggling with a chronic infection, know what I'm talking about here. Tons of medicines are needed here in order to recover the body and spirit. 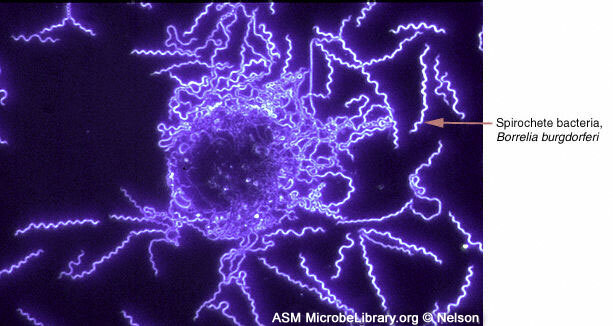 The genetic cousin of syphilis, Borrelia burgdorferi is a very tricky virus. The most complex bacterium which can offer the infectology to date. Kitchen cabinets full of drugs, naturopathic protocols quality of life, which one einbusst anyway, again significantly minimize. The idea of ​​a day without herbs, drops and medication to be able to live without driving long hours and sitting in the waiting rooms of various clinics is intended for me personally and for a large number of my fellow patients, the ultimate expression of feelings. Days before the next surgery is on the way to the miraculous healing of chronic Lyme disease, named by the team of nurses at the time. In Gautam Nagar in the second hospital of Dr. Geeta Shroff, the procedures take place. Procedure is the English term for surgical intervention. Blood and urine on the day before taxes are mandatory. It is generally very careful and worked here as a precaution. Before and after each procedure, there is at least two hours before and after surgery to stay sober. With IV and oral antibiotics, in addition, a further safety measures are taken. There are caudal, epidural, epidural catheters and lumbar puncture procedures.More on the technical terms. The anesthesiologist Dr. Ashish Verma, a soul of man is no longer part of the clinic, followed him, however, is a new but equally competent colleague named Dr.
With it, some things have changed in the process, not to the detriment of patients more likely to benefit. The rest after the procedures, which have been very tiring, for example, shortened. Caudal procedure is continued in the first intervention. The plan was the same one epidural, but was seen in the previously conducted allergy test (the forearm is a small dose of Amikacin, a Antibitikum injected, also double safety) a violent reaction, which clearly speaks of an allergic reaction. Burning, redness and a massive bite can be reported after a few minutes.Personally, I have many allergies, such as on food and some pharmaceuticals. (Ultreon, Zithromax) or ciprofloxacin o.a. used. Now, one decides for a monotherapy with cefotaxime and apply for a caudal. Patient safety is clearly paramount. An application of local anesthetic cream beforehand is also new and also significantly simplifies the procedure. Was after blood pressure, pulse, oxygen, temperature and measured several times by the nurses, the first antibiotic infusion already been created, it is now finally going into the OT. Short for Operation Theatre. I find the procedure less painful than last year. My explanation for this may already be recorded are my dramatic improvements in my overall health. Especially in the lower back, near the caudal injection site, before I had terrible pain for years duration. By the way, tell unbelievable, many Lyme patients on the same location and severe back pain, especially in the pelvic area. Everything is going according to plan, without problems. In a horizontal position, on the back, I'll be pushed back into my hospital room. Now it means to lie quietly, up from 6 hours, which represented a real challenge, only 2 hours. The difficulty is perhaps not comprehensible to outsiders, but as early as 2 hours can be in a flat-lying posture are very long ... if you must. The mind is tricky and if you think not, which ought not be, it goes well again ewas smoother. My music to the ears and tip off otherwise. It occurred to no side effects. This could pose a headache pain or pressure in the damaged nerves and other areas. There have been no complaints. After 2 hours, food and drink served. Depending on time of day, it may just be a cheese toast sandwich with coffee and water. However, as I myself would be celebrate a 5 course menu served. Another important step in terms of healing. I welcome the new mentally million charge for redeeming the cells in my body! The shuttle service between the Nutechmediworld and Gautam Nagar is free and is organized by the hospital management. Then it's back in my second home, my room in the Medicare Nutech World, the main hospital in the neighborhood of Green Park in New Delhi. The drive from Gautam Nagar Hospital takes a few minutes. Both houses 20 beds, so please do not think now, an extensive hospital. Gautam Nagar is just simply furnished. A balancing act back to life. Balance, which is one of the key words. First and foremost I have deficits in terms of balance. Thereto is meticulously worked every day in physiotherapy. Some days, I think PT is more suitable for Pain and Torture. It is sobering when one notes how destructive the injuries that have fed the pathogen my CNS (central nervous system). On other days I'm euphoric, I register by that example, my massive muscle weakness and movement has improved incredibly. I had neuropathy, paresthesia, severe Multiple Skerlose like symptoms and even incipient Guillian Barre Syndrome and Motorneurondisease. I walk and stand safely on my feet, can use my fingers, move my arms! Only when it comes to specific tasks that provide the balance and some fine motor requirements, I fail. It is important to know here, only when the brain is required to accurately withstanding these tasks, it can regain its functions back. The neurosciences have become another hobby horse of my areas of interest. Driving, speaking, memory, storylines, hearing, sight, taste, movement, touch, swallowing, appetite, smell, memory, orientation, sense everything, but really all our human functions are controlled by our brain. What happens when these areas are inadequately supplied with blood, should be clear to everyone. Right, you do not work or only conditionally. See many of my fellow patients look from normal or even good. I am therefore an advocate, not lightly to make statements, but as you look good, to be carried away. People in the neuroborreliosis, fibromyalgia, MS, or the mysterious CFS / Chronic Fatigue Syndrome Chronic Fatigue Syndrome as well, or ME (Myalgic Encephalitis) are referred to suffer through the invisibility of their severe suffering, like thus also automates and psychosocial burden in everyday life. They have no desire and no need to explain themselves constantly, in a sense, this is perhaps no longer in a position to take because you can not express what you really want to say how. It's called word-finding problems.The speed of new information is processed to significantly minimized. Now the most treacherous detail, depending on the daily form and vary the intensity of the symptoms. Not only for the person concerned an uncertain challenge, no, just like this leads in turn to psychomatisation of outside (SHORT) Observer. "You do not just now but it's TOO!" Oh, come blowing times sports. You have to move you more ONLY. "It's all a matter of attitude! You want to be just." "But you look good NOW! Is it because still so bad ??!!" An example, much more difficult for me to make calls. It strained me so that I preferred it, even if I was awake times, or was physically able to lift listeners, this is often better not to do. Because if I did I had the rest of the day the receipt. It was humiliating not to be artukulationsfähig think so slow and woozy. I could not speak clearly, not the teeth apart I got. I tried as best she could to hide all the symptoms as best they could to hide how miserable it was really me. This required all my concentration and I was acting in my role as best I could and then collapsed and was able to move for days or weeks does not stand up or articulate. Here again my urgent request to deal with so-called invisible illnesses, no one is sick or wants to be happy even to be pitied or ridiculed. You should respect what the have / the Affected describes you, if he / she do it at all, and not been completely withdrawn socially to one or the other way. Severe pain is invisible. You can just in case of chronic Lyme disease, hell on earth. Be glad and grateful when you are healthy. And if you can not afford some understanding, please see, by offensive comments, well-meaning advice and questioning of the intensity of the constraints from. For the opposite of good is not evil, but well meant! The Embyonal stem cells have their use, you can resolve not only the vascular hyperperfusion, no, you can repair itself damaged brain, muscle, nerve or bone areas, all cell structures and physical abnormalities. In order to achieve just this healing success is now at another procedure! I'll spend a night in Gautam Nagar. Procedure, epidural catheter for 24 hours, there are 2x daily large doses of EBSC ​​introduced. Here, a catheter is inserted into the spinal canal. Be injected several times over the stem cell. Sounds awful, but, mind you this is always subjective, not unreasonable story. Pleasant it is also not safe. In my case, but I am still of the opinion that no matter what it takes, so as long as it hurts me, no matter what it takes to be healthy, I will use every means. Control of my body, my spirit, to regain my life is my goal, which I like a high-performance visors sportsmen and everyday work thereupon.Indomitable will is essential here. Tour to Agra, in the morning it starts at 6 clock in the morning's departure.We have a comfortable air-conditioned van with experienced driver. The distance is just over 300km, but we need local road conditions due to the 6 to 7 hours. Even in Delhi, during a brief stop, there's a knock on the window, "Snakeman!" cries our driver relaxed. What? Before we can understand what happens, we open the window and curious out of the basket to the man quickly opens to a full-grown cobra rises to the sounds of his oriental flute. Fortunately we have the camera handy. To our horror, he wants to reach the snake into the interior, NO NO NO THANKS, I stammer, leave the snake out of the car! No thanks, please let the snake NOT in the car! Unfathomable plays directly in front of our eyes. At a restaurant at the Halfway Mark, with tourist trap souvenir shop, which is extremely overpriced, we put a pause at the Halfway Mark. Despite all reason, I succumb to some fancy T-shirts, which I'm still not in shape in my fund and I have seen elsewhere on my trip yet not so. DANGER ON SIDE OF ROAD SNAKES AND WILD APES DO NOT GO THERE. REQUEST BY MANAGEMENT! Shortly thereafter, on the highway roadside stands an elephant. We stop. If the animal, for no fear here in front of the passing cars? I ask again hesitant and slightly irritated, I can get him, after my initial shyness, because of the size and power of this majestic animal, pet and even horseback riding. Elephants are considered a symbol of happiness, as I reach to you. Already blessed with luck, eventually you can still never have enough of it. The elephant friend who lives with him for 25 years, sits comfortably on his broad back. Elefantenzähmung in India has thousands of tradition, you are considered sacred animals, as well as the cobra. Follow the elephant hundreds of cows, horses, horse carts on the highway, wild and tame monkeys on the roadside. A camel on the highway with a team. Incredible India! The whole is topped by a few herds of buffaloes, boars, grazing in the recurring piles of rubbish on the roadside unabashed, mind you in the daylight and dancing monkeys, which are crammed into doll-like clothes and held in iron chains. A sad sight. Apemen (Affenman) and Snakeman (snake man) Bohemian villages have no objection to this is the Orient. As a consolation for all the compassionate animal lovers should be mentioned here that we find in other interviews that you may own in Hinduism no humans or animals, we are assured, the animals are released after about 6 months back, but then it starts just as the snake Man or ape like new times. You have to respect this strangeness, the people traditionally live with their animals and of whether elephants, monkeys and snakes. They get from passers-by for centuries for their money and admiration attractions. By the way, the child poverty is, unfortunately, a much more dramatic disaster. Seen in Europe no homeless orphans who sleep on a concrete floor under bridges. Sometimes without shoes, sometimes completely naked. I think of Mother Theresa, there are so unexceptional one angel of the poor at all today - determined, but the media frenzy is directed rather to Lady Gaga. So now even the Taj Mahal, Agra goal, the adventurous journey of the country lives in the middle of northern India. I'm elated, the whole trip was so overwhelming, and now one of the new seven wonders is to see the coronation. At my approach, and behold the Taj, I am deeply touched and impressed. Indescribable. Indestructible. Already the construction of 20 000 men and 22 years can be required, this magnificent glimpse of the effort. The colors, size, grace and beauty, this is the eternal symbol of love exudes overwhelming. There it is again India is the country of contrasts, triumph and tragedy. Ancient meets modern, Muslim, Hindu, peace, violence, wealth, poverty, possible and impossible so close to each other collide here, sometimes it does really hurt. Bharata, so the Indians call their country, reborn here, left for pastures new, have received more and values ​​learned that for me are of a value, which I'm facing themselves every day in amazement and me for a long time hopefully just seems incredibly unrealistic, but in which I find then a minute later, again in a genuine and beautiful reality. Pssst .... It remains among us, yes? To be honest, I have already cried out loud with joy and gratitude! I generally do not ask: Why me? I ask: Why not? Special thanks to all who have supported me, have just believed in me and how I myself have never given up.